SKU: CR-9741 Categories: Golf Shirts, Sport Red, White Brands: Charles River Apparel. 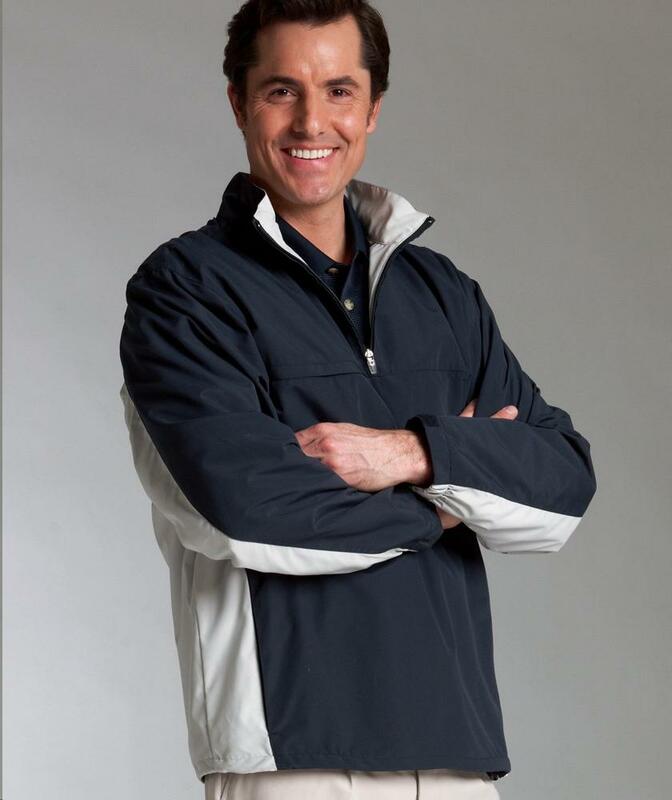 Wind & water-resistant MicroSport Microfiber with mesh lining for breathability and lightweight nylon-lined sleeves for easy on/off. Color blocked design on collar, sides and back. Zippered chest pocket & on-seam side pockets. Elasticized hook & loop cuffs & side-seam zipper for easy on/off. Open hem with shockcord drawstring.